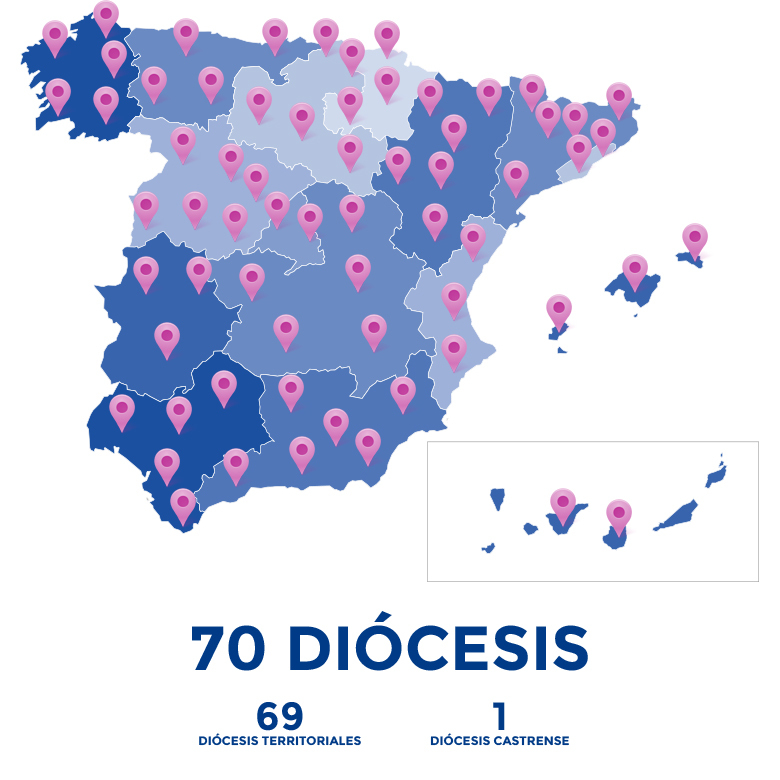 In Spain the Church is present through 69 territorial dioceses (plus the archdiocese for the military) covering the entire territory, presided over by a bishop or archbishop. Currently 23,019 parishes belong to these dioceses, which are served by 18,164 priests, together with other diocesan realities. The religious Orders and congregations, their houses, the monasteries and the rest of the forms of religious life, together with the more than 12,718 religious bodies inscribed in the Register of religious bodies (brotherhoods, fraternities, associations, foundations, movements, etc.) complete the map of the Church’s realities in Spain. A church comprised of the millions of Catholic congregants who contribute through our testimony, dedication and work to make present the Gospel’s message in society.